What should I do if I want to present or to lead a discussion? Publishers often meet to discuss sales, marketing, and digital strategies, but very rarely do the people who actually make the publications happen get to gather and brain share. This event offers managing editors and production specialists the opportunity to meet others in their role and learn from one another. You’re all experts at what you do, but because you work in relative isolation from others in your role, you’ve all developed your own systems. There’s no hard and fast set of best practices, so there’s no one expert who’ll provide you with all of the answers you need. This event will be an opportunity to cross-pollinate: learn what others are doing, what works, and what doesn’t, and see if others’ strategies can be adapted to your situation. It will be at SFU Harbour Centre, 515 West Hastings Street. We’ll meet in room 2945 to kick off the day. *Unwind at the end of the day with a relaxing but invigorating session of yoga led by yoga instructor Thara Vayali. The networking tea is a special session that allows you to continue your conversations with your colleagues outside the confines of a formal session, and it also puts you in the same room as the professionals you might want to hire. Pre-registered freelancers will join us all for a tea or coffee and get a few minutes to chat and swap business cards with you. Note: registration for the PubPro unconference includes the networking tea. Registration is now closed. Email event facilitator Iva Cheung or EAC-BC professional development chairs Shelly Windover and Marie Baird if you have questions about the event. Active members of the Association of Book Publishers of BC who want to send a staff person to this event may apply for a travel subsidy from the ABPBC. Contact Margaret Reynolds for more details. Please tell your associates and colleagues they can follow the event live on Twitter (the event’s official hashtag is #PubPro2015). The day’s tweets have been collected on Storify. Thanks to Globalme Language & Technology for supporting our event by providing projection equipment. *About the event facilitator: Before she became an independent publishing consultant, Iva Cheung served as editor and editorial coordinator at D&M Publishers, where she implemented editorial communication, workflow, and quality control systems. 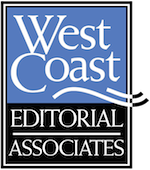 Iva, who holds a Master of Publishing degree from Simon Fraser University, is a Certified Professional Editor and a winner of EAC’s Tom Fairley Award for Editorial Excellence. She blogs about editing and publishing at www.ivacheung.com.